Posts | Swagger in Check ! This is my Blog about Cher Lloyd | … Written by a Fan for other Fans – A celebration of the music and work of British Pop Sensation + Fashion Exemplar Cher Lloyd !!! … Written by a Fan for other Fans – A celebration of the music and work of British Pop Sensation + Fashion Exemplar Cher Lloyd !!! 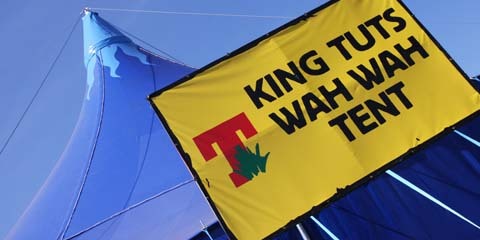 Inside the King Tuts Wah Wah Tent it was dark and it smelled all musty and like damp grass! But there was a fab buzzy atmosphere down at the front of the stage. Collections and ensembles of cabs and rigs sent Dubstep booming and reverberating around the place as the crowd jostled about. Cher Lloyd was the 2nd act after Dot Rotten and I couldn’t wait! But of course, I was really interested in seeing Dot Rotten too, as of course, he collaborated with Cher on ‘Dub on the Track’. I gotta be honest! I was completely unfamiliar with the music of Dot Rotten which made this a great opportunity to find out more about this prolific artist and his brand of Grime and Hip-Hop. When the time came I have to say I loved it! Dot bounded about with tons of energy as was a slick as. He was the perfect warm up and had no trouble getting everyone whipped up. I decided I would be checking out more material by Dot Rotten as I was so impressed! I’d of loved it if Cher had come out to run thru ‘Dub on the Track’ ha ha! But when Dot left the stage with his music still ringing in my ears and I knew in only a few moments Cher would be on stage!!! As I walked from car and approached the Festival entrance I could distinctly hear “Superhero” coming from the site so I knew Cher was there and sound-checking!!! Aw wow! I began to get really excited now!!! I knew what I had to do was get in as quickly as possible, go straight to ‘King Tut’s Wah Wah Tent’ and hopefully right to the front so to get a really good view! After all, I’d driven long enough for this so why not eh!? It didn’t take to long to get queue to get inside and once in I beetled over to King Tut’s Tent. Crossing the area in front of the main stage, I glanced towards it to notice a huge backdrop with the words ‘The Darkness’ emblazoned across it. Billowing in the wind, it looked magnificent but I had to carry on. I got to the Wah Wah tent and quickly went inside the enormous dark cave which it was. Hurrying now I got to the front, one person away from the barrier – and I wasn’t gonna move for no one!!! In my post “The End of the Tour”, I mentioned as I drove out of London after seeing Cher Lloyd play her final night of the ‘Sticks+Stones’ tour that the next time I would see Cher live would be at ‘MFest’ on Saturday 07 June. Yet since then, other dates at other festivals had been announced and I was so happy as this little weekend had filled right up! Now on the Friday Cher would play at ‘Tea in the Park’ near Kinross in Scotland; on the Saturday, Cher would be at ‘MFest’ and on the Sunday, Cher would play ‘Wireless Festival’ in Hyde Park, London. I had tickets for all these dates and I could not wait!!! It was about six thirty Friday morning when I got going. I eased onto the M6 Toll a little north of Birmingham and so started the long journey up country. Somewhere between Stafford and Stoke it became horrible as it was raining cats and dogs! Despite the wipers been on full pelt, it was just so hard to see! There was so many lorries and it seemed they threw up more water from the road than what was coming down from the sky – although I know that cannot be possible!? What they did do to the wet stuff however, was turn it into a fine spray which was visibly impenetrable. So it became quite simple what to do… Turn on the headlights, cut the speed and settle into the ‘slow’ lane keeping a big stopping gap between me and whatever was in front – and there I really just had to try to sit it out. I didn’t mind as I had a ton of time and ‘Sticks + Stones’ was in the cd player. But in the end the weather deteriorated so bad that seeing some services I pulled in there for a break! I was at Sandbach and whilst there drinking warm coffee the rainfall subsided and so allowing me to carry on in better conditions. Overall, I was making not too bad time and I really just settled into the journey between the north midlands and Manchester then sped on towards Preston. I usually find as soon as that little city is behind then the M6 really calms down and things get really pretty heading into the Lakes and Cumbria. As soon as I passed Penrith at junction 40 I was into new driving territory. Of course, I have been up here before – but never driving and never on my own. Onwards and upwards eh!? So I gunned on my trusted, battered and forgiving Ford on like some insane cowboy on a mustang and found myself approaching Gretna Green. I toyed briefly with the idea of stopping here to send daft picture messages home feigning some spoof marriage. 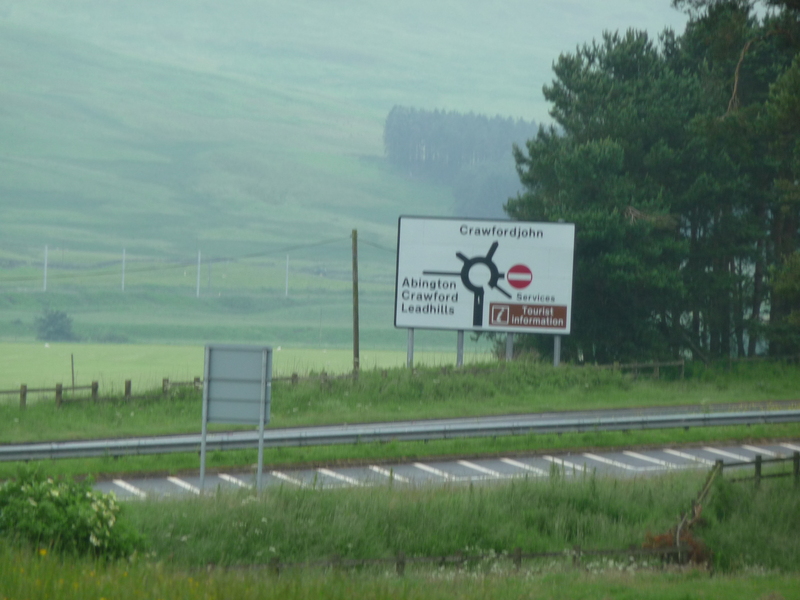 But the thought was an idle one and easily lobbed aside meaning I instead crossed the border into Scotland at about 90mph and feeling like I was nearly there! The reality was however, that I still had another 3 hours or more driving! So I hurried on towards Glasgow but then decided it was time for another stop. I needed a stretch of the legs and some more coffee so seeing some motorway service signs followed them and found myself at Abington, where I parked up for another little break! Here I caught up on some phone calls and had a chat first with bf who – as such a sweetie – wanted to know all about how I was getting on – which was all fine and dandy as you know. Then I made a quick call to the office to see how they were which was all good but they gave me the news that MFest had been cancelled! This due to all the rainfall the country was having! Oh no! This was not good news for me as I was looking forward to seeing Cher there of course! But still – I must not be greedy as I had today and I had Sunday and for some brats perhaps Saturday was their only chance and was now gone? So I do hope all those MFest brats were able to get to see Cher at another of her festival dates I really do!? As I thought about this and looked over the misty meadows of Scotland in the back of my mind those little cogs began whirling as I also began to reconsider my weekend plan. Originally my idea was to park up at services near Kinross, get a room I could use for an overnight sleepover and then drive to Leeds Saturday daytime. But in light of this change I started to wonder did I need a room at all? But for now, I sat on a little wooden picnic bench pondering the rest of the day and weekend when I noticed a minibus parked with two people inside I recognized from home! Wow!? What a coincidence! I set off immediately to say “Hiya!” and sauntered up to the minibus waving and grinning whereupon as I got close I realized it wasn’t who I thought it was at all! It was someone else! Not only that, they wound up their windows leaving me outside with a shocked expression mouthing the words “I’m really sorry but I thought you were someone else”. But winding up their windows!? Obviously I must have looked like a bit of a loon – a prospect I was not happy about for sure! So I decided best to quickly head off again. After an initial mini-panic as I couldn’t find the M6 before remembering I was in Scotland and it’s called the M74 now (chump yea! ), I carried on Northwards and the rest of the car journey passed uneventfully. I remember passing a big green coach and wondered is it Cher’s as it looked similar to the one she used on the ‘Sticks ‘n’ Stones’ tour? But it couldn’t have been as that surely, would already be at Tea in the Park..? I continued on and on, skirting past Glasgow and leaving the M74 and using a couple of other motorways en route to Edinburgh. Again I soon skirted past another great Scottish city, this time Edinburgh the capital, before taking a more directly north route towards Perth and eventually crossing the Forth Bridge. It was so incredibly high up there and therefore so windy! I opened the car windows but then shut them right up again as it felt like my head would be literally blown off! I remember the road been long and straight thereafter and I was getting aware I was getting close to the Festival now. The sun was shining brightly and things started to warm right up! So after a bit more driving I began to see signs for Tea in the Park and I eventually zoned in on the bit I needed to be in and got my car parking ticket and parked up in a field with loads of other people. I sat sipping on a CapriSun for a moment or two before gathering up some things and setting off to get in. This was somewhere after 2pm and I was so excited! As I hadn’t been to a Festival for ages and wow! I was about to see Cher Lloyd again for the fifth time!!! Get ya wellies on ! Cher Lloyd’s Festival Dates in the UK, 2012 ! In the summer of 2012, Cher embarked on a series of festival dates around the UK! So I got my tickets and my wellies and set off as well! 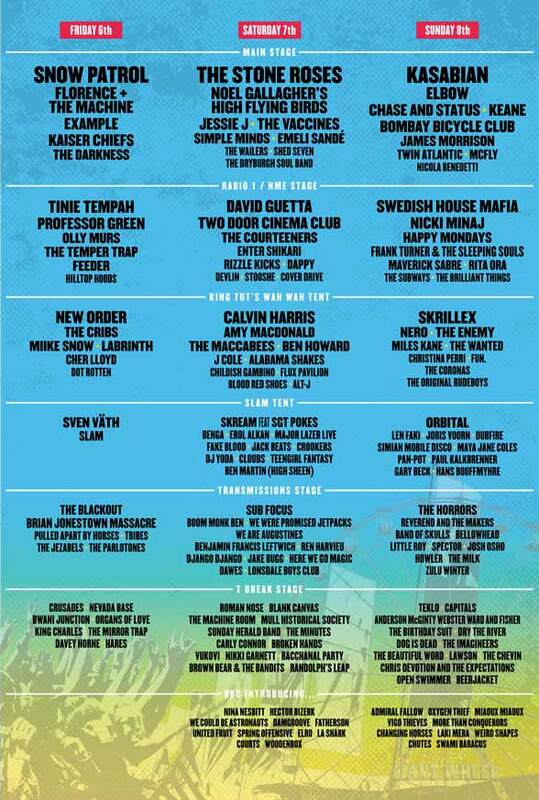 The first event would be ‘Tea in the Park’ in Scotland in July and things would wind up at ‘V’ in Essex in the August. To see what happened at these gigs and the ones in between read on! It was really exciting when ‘Want U Back’ went platinum in the USA. Just proves that Cher is a star! Brats everywhere know that! My good friend and colleague at work, Lisa, knows how much of a Brat I am (in more ways than one ahem!) and kindly pointed her phone at the telly and recorded this video for me to see showing Cher presented with a Platinum Disk in the USA – the track went on to go Double-Platinum yea!!! Thank you Lisa :)xxxxx !!!!!! …and absolutely fantastically, sales of the single in the USA exceeded 2,000,000 !!! It just has ‘Cher Lloyd‘ written all over it!!! And omg did America just love it or what!!! Cher recorded an entirely new video for the US release of ‘Want U Back’. Which must have been loads of fun to do as it was a really good opportunity for another interpretation of the song and therefore, a platform for new ideas. When I heard there was going to be a new video I couldn’t wait to see it and how it compared to the UK version as that for me was classic Cher – funny, cheeky and bratty! So I was delighted as the US version more than kept true to the mischievousness of the track and even more so! This time in the video, Cher confronts her ex in an American Diner called ‘Cadillac Jacks’ and buys him a strawberry smoothie which ends up getting flung all over his new girl! Cher continues to play up – knocking over a tray, walking on the counter, writing ‘too bad’ on it in ketchup and putting a ‘kick me’ sign on her ex’s back! In the end the police arrive to arrest her and she is taken to the station for mug shots, pop and cookies! It is very funny and I can imagine the Dukes of Hazzard arriving later to bust Cher outta jail! Cher’s outfits include colourful Cher wearing polka dot shirt with chunky necklace, shorts and charming floral boots – and naughty Cher wearing biker chic cropped black and grey striped top and black skater skirt with gold chain belt, gothic fabric tights and black heeled lace up boots. Enjoy the video! Does this sound like a helicopter? Brrrrrrrrrrrrrrrrrrrrrrrrrrrrrrrrrrrrrrrrrrrrrrrrrrrrlllllllllllllllllllllllllllllllllllllllllllllllllllllllllll!!!!!!!!!!!!!!!!!!!!!!!!!!!!!!!!!!!!!!!!!!!!! Hee hee – ok – this is a silly little mini-post but I thought well, I had heard of Air Miles so this would be Cher Miles! It’s the amount of miles travelled following the Cher gigs that I went to! As I am a massive fan of Cher’s live performances – they are so good. So after the ‘Sticks + Stones’ dates I went to how many miles had I clocked? And I loved the all the glitter that fell from the ceiling during the last song ‘Want U Back’!!! It was a really really good night and a great finale to the ‘Sticks + Stones’ tour – Cher’s first and so far only, headlining UK tour. So I do hope there’ll be others – I’m sure there will be! …and this time in my wellies!!! Events would not pan out like this and if ya wanna know why, keep reading! Finally, Cher closes her set, and her tour with ‘Talkin’ That’ and ‘Want U Back’! The last night of Cher Lloyd’s UK ‘Sticks + Stones’ tour – Sunday 15 April 2012 – Shepherds Bush Empire. Do comment lots – thank you!!! This one really needs no intro – so just play it – I love it so so much!